Being able to use an odds converter can be crucial to successful betting. If you do not understand what betting odds represent and how to convert odds, you're diminishing your ability for cross-market comparisons to make smart bets. So what do betting odds represent? Simply put, betting odds represent the probability of a given outcome occurring and the profit you will receive should your bet be successful. Fundamental to successful betting is identifying value bets. It is only through understanding betting odds and implied probability that you can sharpen your sense for value bets no matter what sports or leagues you bet on. In this article, we will discuss the three most popular ways of displaying betting odds and how to convert odds to their implied probabilities. By the end of this article, you should have a firm understanding of betting odds and implied probability. Before we get into the math, let’s have a play around with our odds converter. It’s simple to use and will instantly convert odds from one format to another. It will also display the implied probability of your odds. For example, if we enter American odds of -170, the odds converter will instantly convert these odds into both decimal and fractional formats while displaying the implied probability of those odds. In our next article, you can calculate how much money a bet will make you. Let’s begin with American odds. American odds (also known as Moneyline odds) come in two varieties. Plus American odds and Minus American odds. Minus American odds refer to odds that are shorter than even money. For example, the New York Knicks are at odds of -150 for an upcoming NBA game. What does -150 mean? Minus American odds such as -150 mean that in order to win $100, you must bet $150. Plus American odds refer to odds that are longer than even money. For example, the Los Angeles Kings are at odds of +175 to win an upcoming NHL game. What does +175 mean? Plus American odds such as +175 mean that if you bet $100, you will make a profit of $175 should you bet win. So let’s say we are betting on the Knicks at odds of -150. How do we convert these odds to their implied probability? So the bookmakers are suggesting the Knicks are a 60% chance of winning the game. If we believe the chances of the Knicks winning the game are greater than 60%, we have found a value bet. So let’s say we are betting on the Kings at odds of +175. How do we convert these odds to their implied probability? So the bookmakers are suggesting the Kings are a 36.4% chance of winning the game. Again, if we believe the Kings are a greater than 36.4% chance of winning the game, we have identified a value bet. Decimal odds (also known as European odds) are popular in Europe and Australia. As the name suggests, they are displayed in decimal format, for example, 1.75. Decimal odds show the amount to be returned for every $1 that you bet if your bet is a winner. To determine the profit you simply subtract the stake form the bet. For example, if we bet $10 on the Denver Broncos to win an upcoming NFL game at the odds of 1.75, our return would be $17.50. With our stake subtracted, our profit from the bet would be $7.50. So let’s say we’re going to bet on the Broncos at odds of 1.75. What is the implied probability of these odds? In this case, the bookmakers believe there is a 57.14% chance that Denver will win the game. If we believe the Broncos are a greater than 57.14% chance of winning the game, we have discovered a value bet. 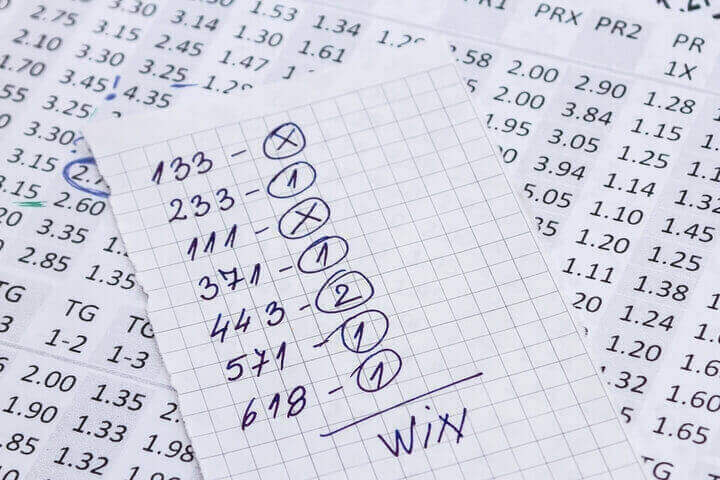 Fractional odds are the most traditional way of displaying betting odds and is still a very popular format in the United Kingdom, particularly in horse racing. Fractional odds display the amount you will win for every dollar that you bet. For example, the odds 4/5 mean that for every $5 that you bet, you will receive a profit of $4. For example, let’s say the Detroit Pistons are at odds of 3/1 to win an upcoming NBA game. This means that for every $1 that you bet, should the Pistons win, you will receive an overall profit from your bet of $3. If we bet $10 on the Pistons and they win, we would receive a profit of $30. Let’s say we are betting on the Dallas Cowboys at the fractional odds of 5/2. What is the implied probability of Dallas winning the game? So the bookmakers believe the Cowboys are a 28.57% chance of winning the game. If we believe the Cowboys are a greater chance of winning the game, we have found a value bet. To begin converting one odds format to another, we must first reduce the odds to their implied probability. Once we have done this, converting implied probability to our preferred odds format is simple. As discussed previously, there are two types of American odds – Plus American odds and Minus American odds. If we have an implied probability of 50% or lower, we convert the probability to Plus American Odds. If we have an implied probability above 50%, we convert the probability to Minus American Odds. So what are the odds for the Pacers to win the game? So the odds for the Pacers to win are +150. Let’s say we have the Green Bay Packers at a probability of 60% to win an upcoming NFL game. What are their odds in American odds format? So what odds are the Packers to win the game in Minus American Odds format? So the odds of the Packers winning the game are -150. So let’s say we have the Miami Dolphins as a 65% chance of winning an upcoming NFL game. What are their odds in decimal format? So the odds for Miami to win displayed in decimal format are 1.54. Converting implied probability to fractional odds format is a little trickier than both American odds and decimal odds. Once we have made this calculation, we then multiply the numerator to a whole number and we multiply the denominator by the number of times it took to round the numerator to a whole number. So our fractional odds are 1.50 / 1. Next, we multiply the numerator to a whole number. In this case, the nearest whole number we can multiply to is 3. So our numerator is now 3 and it took us multiplying 1.50 twice to round off to 3. As we multiplied the numerator twice, our denominator is 2. Our fractional odds for an implied probability of 40%, are therefore 3/2.